The Idaho College of Osteopathic Medicine (ICOM) matriculated its inaugural class in August of 2018. This class of 2022 is composed of graduates from 97 U.S. colleges and universities, with above average composite medical board (MCAT) scores and highly competitive undergraduate grade point averages. These students originate from 29 states with approximately one-third coming from Idaho and the ICOM target 5-state region including Montana, North Dakota, South Dakota, and Wyoming. Osteopathic medicine is a distinctive form of medicine. From their first day of school, osteopathic medical students are trained to look at the whole person. Doctors of osteopathic medicine (DOs) use all the knowledge, skills, tools, and technology available in modern medicine, with the added benefits of a holistic philosophy and emphasis on health promotion and disease prevention. Because of this whole person approach to medicine, 56 percent of DOs choose to practice in the primary care disciplines of family practice, general internal medicine, and pediatrics. The remaining 44 percent specialize in any number of specialty practice areas. There are more than 100,000 DOs in the United States with a strong history of serving rural and underserved areas - often providing patient-centered care to some of the most economically disadvantaged persons in our society. The American Osteopathic Association’s Commission on Osteopathic College Accreditation (COCA) currently accredits 34 colleges of osteopathic medicine offering instruction at 53 locations in 33 states. 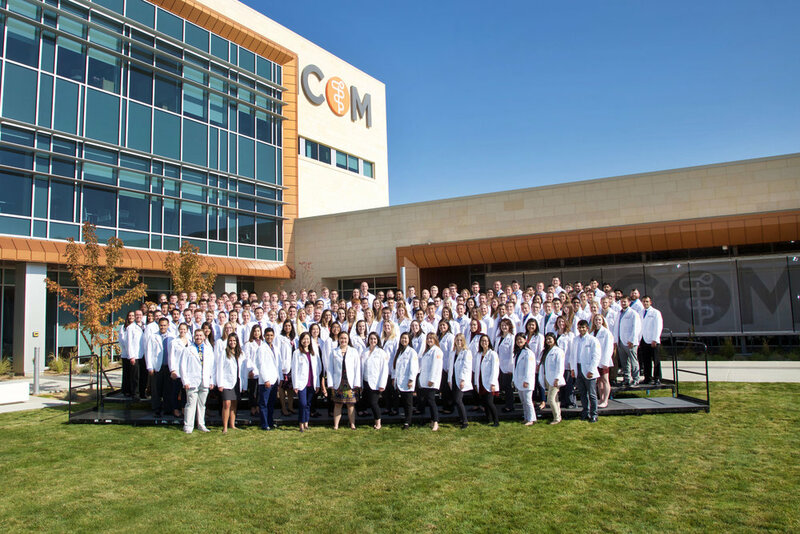 ICOM was formed to address the current and growing shortage of physicians in the Mountain West and beyond. Although Idaho is among the most rapidly growing areas of the country, the state ranks 49th in physicians per capita. Approximately 30 percent of all actively practicing physicians in the U.S. are over 60 years of age. This cohort accentuates concerns about a wave of impending retirements amidst a much smaller influx of newly trained physicians. Over half of Idaho hospitals are Critical Access Hospitals (CAH). These CAH’s and their medical provider base must be maintained to assure access to health care for those they serve. The availability of primary care providers in these areas is a key public policy concern. Before ICOM was established, Idaho was the most populous state without a medical school of its own. ICOM’s mission is to train competent and caring physicians prepared to serve persons in Idaho, Montana, North and South Dakota, Wyoming, and beyond with an emphasis on rural, underserved areas within this five state region. ICOM was conceived and established to be of sufficient size to attract a well-qualified faculty and student body as well as to have the technical and other resources necessary to effectively train physicians for 21st century medicine. In December 2017 COCA granted ICOM pre-accreditation status and authorized the recruitment of 162 students. ICOM’s leadership and governing body is entirely focused on providing these students with a high quality academic and clinical clerkship experience and facilitating their placement into ACGME-accredited post-graduate training/residency programs. Any future change in class size is entirely dependent upon ICOM’s ability to demonstrate its capability to graduate the high quality physicians needed in the future and will be based on a future assessment of the continuing need for physician access in the five state region ICOM serves. Preaccreditation means the status of public recognition that an accrediting agency grants to an institution or program for a limited period of time that signifies the agency has determined that the institution or program is progressing towards accreditation and is likely to attain accreditation before the expiration of that limited period of time.